Following The Great Outdoors, Wales’ first National Conference for Outdoor Performance in October 2012, a full report is now available online in English here and Welsh here. The Great Outdoors was produced by Articulture Wales in collaboration with a range of leading Wales and UK based arts companies and organisations. 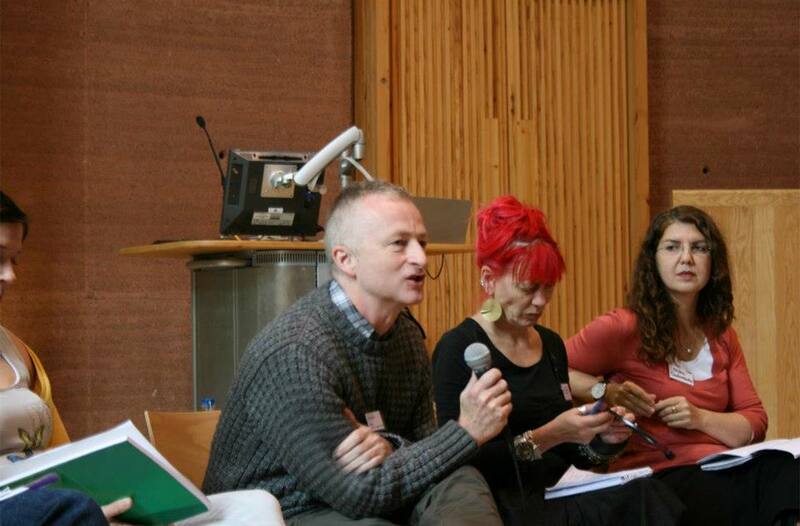 The event brought together 115 outdoor art practitioners, funders, academics, local authorities, festivals and venues. The aim of the programme was to create opportunity for networking and sharing, as well as sparking debate around the future of outdoor arts in Wales. The report sets the context for the event, as well as providing an account of the actions and subsequent materials created by those attending. It identifies a clear and active interest in, and commitment to, generating more high quality, outdoor work in Wales. This was fueled and compounded by accounts of personal experiences and case studies shared over the day, that indicated that the outdoor arts has the potential to play an important role in the social, cultural and economic development of Wales. It also illustrates the start of a collective picture of the current industry, identified as having promise, taking inspiration from Wales’ unique culture and landscape, and building on successful historical site specific work and more recent innovative Welsh projects. Looking forward those who attended asked for an increase in joined up thinking across Wales that can help advocate and support new innovative work, partnerships, networking and training. They also identified the importance of taking a broader perspective in the creation of diverse and high quality Welsh work in terms art form, scale and venue, that is integral to Welsh community. A number of specific actions were outlined reflecting these. The report concludes that The Great Outdoors has provided an important building block for the future of outdoor arts in Wales, but by itself is not the answer. However what is hoped is that through the guidance this report provides, and the greater conviction and strength mobilised in the practitioners who attended, it can help initiate a collective voice that can make those actions identified a reality.